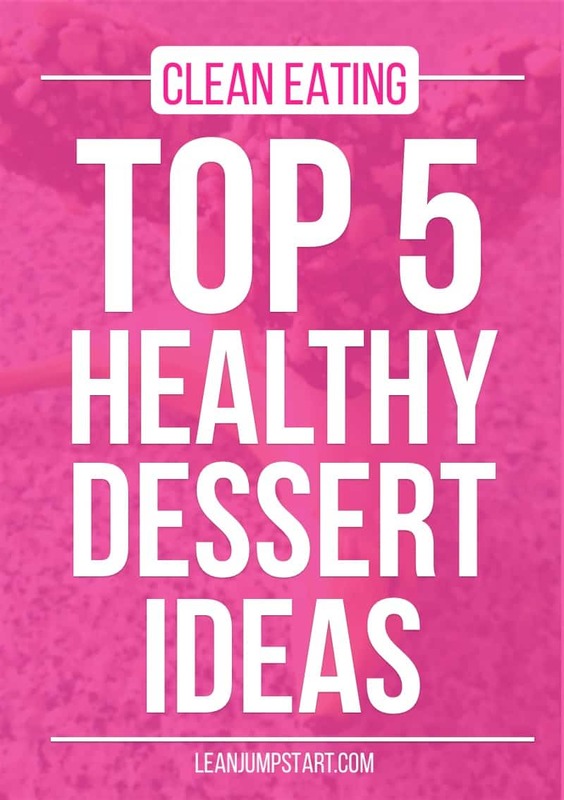 Healthy clean eating desserts come in many variations; whether fruity-fresh or creamy-tender, there are more choices than you can imagine for seducing clean desserts. You will see in the following that abandoning industrial sugar or processed desserts and candy bars doesn’t mean you have to completely renounce your sweet indulgences. The here presented recipes are flavorful and figure-friendly if eaten in moderation. Most of them you can prepare easily with just a few ingredients like our frozen chocolate banana pops or chia pudding. …and we can’t forget your own sugar cravings that can still occur from time to time, no matter how clean you’ve been eating. You want to always have healthy alternatives on hand if simply going cold turkey doesn’t work for you. For our healthy desserts, we don’t want to use any processed sugars, like white sugar, high fructose corn syrup, sucrose, or any kind of sugar that comes from a factory. My favorite clean sweeteners are just fruits (e.g., try some grated whole apples in your next batch of whole-wheat pancakes). I often cut some strawberries up (when they are in season) and put them in my Greek yogurt or sweeten my dessert recipes with bananas. Most of you know the sweet effect of raisins in muesli or baked goods. But have you ever tried dates or date paste? Unless you are vegan or vegetarian, you probably don’t have them in your kitchen yet. I always have a small supply of dates in my fridge. In an airtight container, I can store them for up to six months. Dates can be perfectly used as a base for homemade granola bars or brownie batter. 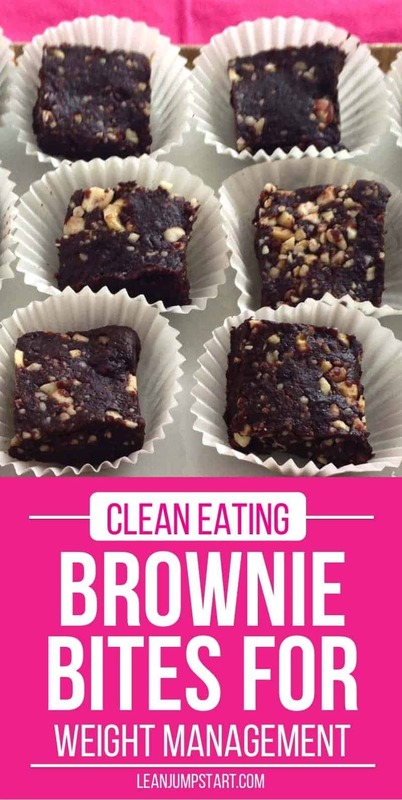 I will show you how in my clean eating brownie recipe below. In contrast to processed sugars, dates contain plenty of fiber, calcium, iron, magnesium, potassium, and copper. Because of their high glycemic index (almost as high as sugar), you should still use them only in moderation. I love to spice up a cup of coffee with cinnamon. This super spice adds just a subtle sweetness to many desserts – and it adds no calories! And yet, honey can be overused like any sweetener. If unsure about quantities, my advice is: “less is more”! It is important to stress that honey contains 70-80% of fructose and glucose. That’s why similar to industrial sugar, it negatively affects your blood sugar level, your teeth, and your body. Pop some seedless grapes in the freezer for a few hours and enjoy a long-lasting, slightly sweet treat. Of course, they work also very well as a clean eating snack idea. If you love bananas, then this creamy ice dessert is for you! For variation, mix it up with a few teaspoons of cocoa powder to add a little chocolate flavor. You can also use some peanut or almond butter. A perfect dessert recipe for chocoholics. Cut peeled bananas half crosswise and insert a wooden stick into each half. Put them on a tray, protect them with plastic wrap, and freeze for at least three hours. immediately roll it in whichever topping you prefer. Crunchy toppings like hacked nuts, peanuts, granola, or sesame all work well! Wrap individually in waxed paper or plastic wrap and store it back in the freezer until the chocolate is set. Tip: Just wait 1-2 minutes after taking them out of the freezer, only then enjoy a wonderful taste experience. Delicious! Chia is all the rage lately, and that’s why I dedicated a whole challenge to this superfood in week 40. Chia seed puddings are awesome too. You can make them so quickly and effortlessly. Check out my simple clean eating chia pudding here! Pour the hot water over the dates in a bowl and let it soak for 10 minutes. Place almonds in your food processor and process until they become flour. Add cocoa powder, honey, and seasalt to this brownie recipe and process again until the paste turns into a dark chocolaty brown. Drain the water from the dates, add them to the mixture, and process again, scraping down the sides of the bowl as needed until the mixture sticks together and the dates are well processed. Knead fine hacked pecans into your dough. Spread the mixture into a small casserole dish (8×8-inch) and press down firmly. Place brownie dough, covered with plastic wrap, in freezer or refrigerator until ready to serve. Once they are cold (all the way through), cut brownies into 49 square pieces (around 1 inch/2,8 cm each). Store in an airtight container. Store in the fridge for up to 5 days (if it lasts that long). Tip: Freeze them in appropriate containers for up to 3 months. Notes: Dates, almonds, and pecans are all energy-rich ingredients. Especially nuts contain plenty of healthy fat and calories. But the lack of processed sugar and flour means that just a small portion of this treat goes a long way. Your cravings are satisfied faster and more sustainable. Instead of empty calories, your body has to digest fibers, vitamins, and minerals that are all good for it. As a former chocoholic, I have to admit that my cravings are satisfied with just one brownie bite. I recommend Medjool dates (they are larger) and only organic versions, as dates are often treated with fertilizer. Choose one of the dessert ideas above or find another one on the web. Test your chosen treat this week after lunch or dinner. If you and your family love it, save it; if not, choose another one until you find your family’s favorite. Keep this favorite dessert idea, including its ingredients, on hand. This way you will always be prepared if you need it for those exceptional, special situations. Isn’t it a great reward that you know how to indulge wisely from time to time? What should you do if you are invited somewhere with no sugar-free alternatives? If going cold turkey is torture for you, then my 80/20 approach to clean eating is your solution. Unless you have totally abandoned processed sugar from your life, for heaven’s sake, grab that little item that looks the most seductive to you. Savor that little gem slowly, and really enjoy it no matter if others around you allow themselves a big portion. Do you need more inspiration for easy, quick, and delicious treats? 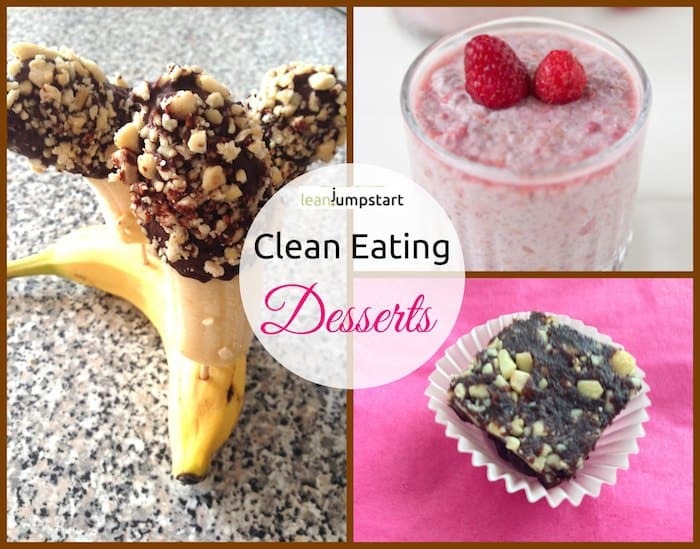 Then I warmly recommend my Pinterest Board “clean eating dessert recipes”. On this board, I’ve curated delicious and healthy desserts, cakes and slices from around the world. 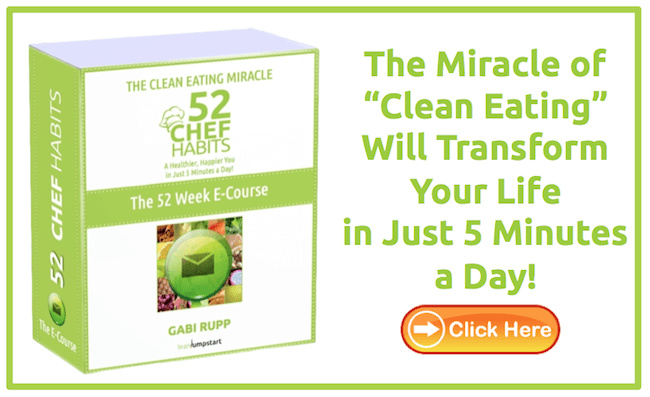 Perfect for anyone who enjoys clean eating. I’d really love to hear about your favorite clean eating recipe. Share it with us in the comment section below.